Winners receives 2 cards of 2. 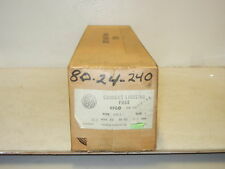 You are purchasing a GENERAL ELECTRIC GE FUSE 328L493G19, EJ-2 2.4/4.8 60Hz 6R/170 - NEW IN SEALED BOX. GE37515-2D not rated. Winners receives 2 cards of 2. 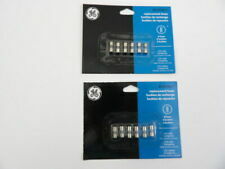 FREE SHIPPING IN THE USA Here is a brand new pack of 5 original vintage GE 20 amp screw in fuses. These are excellent and have never been used. These would work great if you have an older home or if you collect GE memorabilia. There are nice colors on the package. These are expensive and hard to find but you can buy mine at a bargain and have it shipped to your door for free. If you have any questions please let me know. Thanks for looking and please check out the other items I have for sale. New in original box. General Electric CLF Fuse. OIL CUTOUT FUSE LINKS. GENERAL ELECTRIC. NEW IN BOX. 9F60 DMH001. Type EJ 0-1 C. If your log in attempts are unsuccessful you'll be automatically redirected to a secure page where you can enter your credit card information. New In Box! WE HAVE THE FUSES! New in box. 4 available. 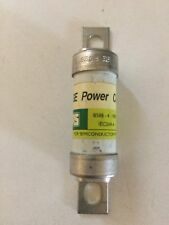 GE 23KV 40A 9F59WBE040 CURRENT LIMITING Fuse NEW!! If your log in attempts are unsuccessful you'll be automatically redirected to a secure page where you can enter your credit card information. New In Box. 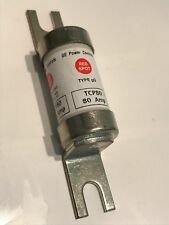 GE 23KV 40A 9F59WBD050 CURRENT LIMITING Fuse NEW!! Due to the multiple quantities available, you may not receive the item pictured in the ad above. Check-Out Now! CATALOG # 6193403G5. NEW GE 2400 VOLT CURRENT LIMITING FUSE. SEE PHOTOS ABOVE FOR DETAILS AND ITEM SPECS. 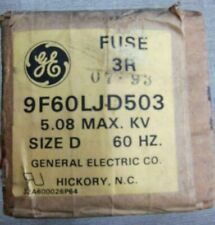 GENERAL ELECTRIC GE 9F60DMH003 15.5KV SIZE C FUSE. Only qualified electricians should install breaker. This is a NEW General Electric Type EJ-2 Fuse. Model 9F60LCB802 size D I have daily ups service. Items paid for by 3:30 central time will ship same day. As with all my listings your satisfaction is guaranteed. Check my store for other listings. 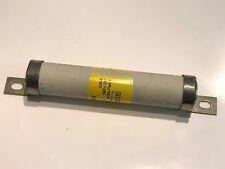 GE 15.5kV 15" CC Size D 50E 9F62DDD050 GENERAL PURPOSE CL POWER Fuse NEW!! Part Number 9F62DDD050. 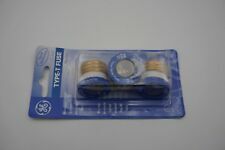 Fuse Type GENERAL PURPOSE CL POWER FUSES. 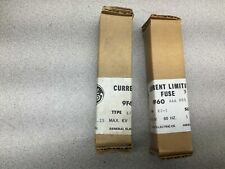 NEW General Electric 9F60 DJD010 Fuse 10E Amp 5.5 kV 60 Hz EJ0 -1 C 9F60DJD010 New in Box - Never opened Location - 13D. New In Box. (Internal Location: BR15). Quantity: 1 as shown. LARGE cefco 50KOTN80 80 amp fuse, in a 8414-7 GE ceramic holder. Holder is marked "61A. New, unused fuse and fuse holder. Also has two 125A copper compression lugs. The fuse has been tested and is good. New in box. GE GF8B4000 CLF Fuse. Weighs 24 lbs. GE 100A 15.5KV 9F59WCD100 Fuse NEW!! 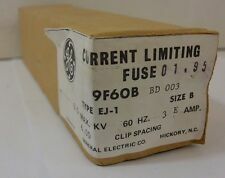 Fuse Item# 9F62KCB500 GP EJO-1 BI 5.5KV 500A - NEW IN BOX!!!!!!! Item# 9F62KCB500. GP EJO-1 BI 5.5KV 500A. I try my best to give an unbiased and honest opinion of the item being listed. The pictures are of the actual item you are buying. This is a NEW General Electric Type EJ-2D Fuse. Model 9F60LCB203 I have daily ups service. Items paid for by 3:30 central time will ship same day. As with all my listings your satisfaction is guaranteed. Check my store for other listings. 5.5 Max KV. Type EJO-1. New In Box. WE HAVE THE FUSES! THE OTHERS HAVE EXCUSES……. 9F60LJD509 FUSE 9R, 200 AMP, 5.08 KV, TYPE EJ-2 SIZE D FERRAZ SHAWMUT NEW!!!! !